(TibetanReview.net, Nov30, 2017) – An elderly Tibetan Buddhist monk has died on Nov 26 in yet another protest self-immolation in Chinese ruled Tibet, with the incident having occurred in Karze (Chinese: Ganzi) County of Sichuan Province. 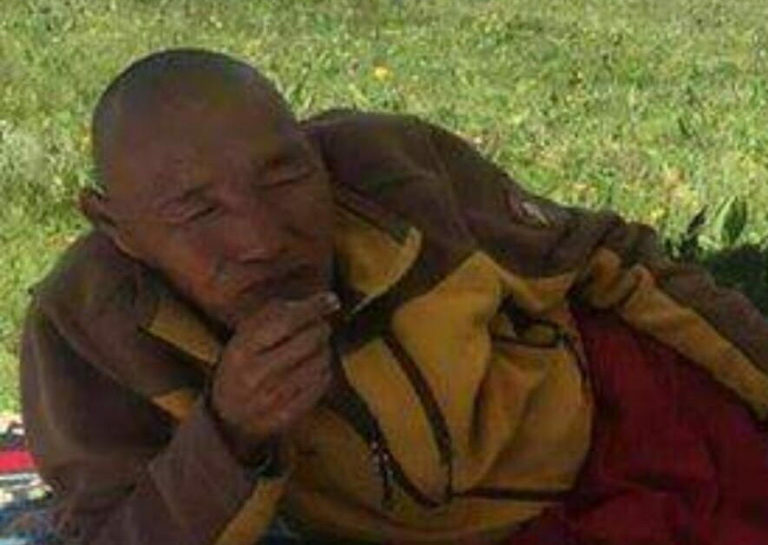 The self-immolator has been named as Tenga, a 63-year-old monk originally from the county’s Dadho Village and a monk of the local Karze Monastery. The incident has been widely reported by the online exile Tibetan media, with little other details. One report said the monk had shouted for “freedom in Tibet” as be burned. The reports said Chinese police arrived on the scene soon after, put out the flames and took away the monk’s burnt remains. And as happens in the aftermath of such incidents, there was heavy deployment of troops and police, besides blocking of all communication channels. Tenga’s is the fifth protest self-immolation in Chinese ruled Tibet this year, with the last one having been carried out by Jamyang Losel, an about 22-year-old monk, at around 5:00 AM on May 18 in Chentsa (Chinese: Jianza) County of Malho (Huangnan) Prefecture, Qinghai Province. Before Losal, Chagdor Kyab, a 16-year-old school boy, had torched himself near Bora Monastery in a township by the same name in Kanlho (Gannan) Prefecture of neighbouring Gansu Province on May 2. The number of self-immolations in Chinese ruled Tibet since 2009 now stands at at least 150, with 13 of them having taken place in Karze. Of them, 126 are known to have died.